Lauro system was born in 2011with the purpose of realizing an idea: making therapy of typical deformities of child developmental age and adult muscle-skeletal pain, faster and more efficient. 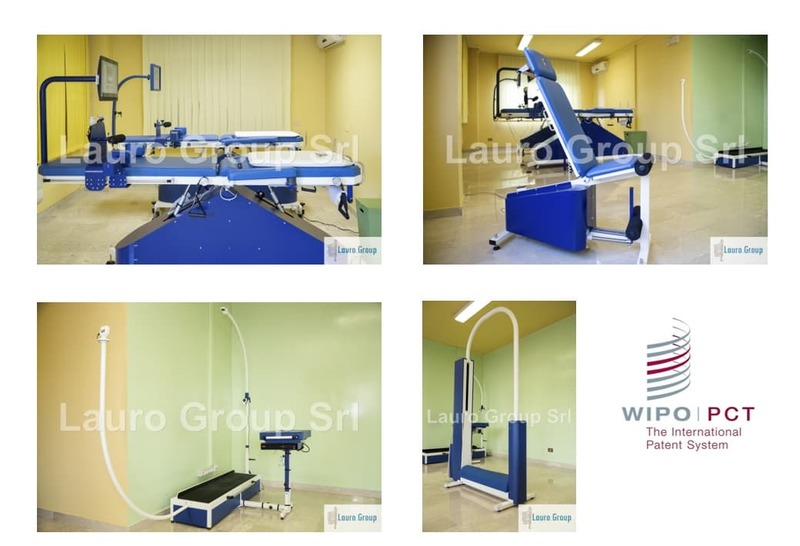 The use of multi-professional skills and scientific energies from Lauro Group founding members, allowed the development of a real rehabilitation robotic team: L-System, an equipe of rehabilitative robots that allows the union among Physical Medecine, Engeneering, Mechatronic and Computer Technology knowledges. Processes and clinical protocols of specific muscle-skeletal pathologies rehabilitation have been mapped in our robots. Our physiotherapeutic system can perform a combination of specific rehabilitation therapeutic protocols for each pathology. This therapy is dinamically and with unexpectionable precision performed, more than an expert therapist, thanks to the support of technological vanguard. A specialist will customize your therapeutic plan by choosing robotic devices, software programs, specific rehabilitation exercises and their frequency. After the specialist physical examination, the range of motion of body joints are detected and then included in L-System through an initial test about individual maximal parameters. So, our robots can perform a customized rehabilitation. Robotic rehabilitation is performed in our structure: the specialist will supervise the strict therapeutic program application, step by step. Therapeutic progresses, obtained in term of “joints range of motions”, will require a new setting of joints’ parameters depending on therapeutic response an clinicla features. In this way, the therapy will be progressively increased, generating a growing difficulty physio—kinesiotherapy program, related to patient joint mobility. Technology and specialist supervision allow a therapeutic plan optimization, by exponentially increasing the already known in literature effects.